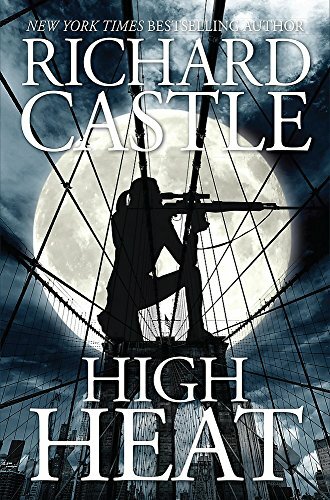 High Heat is the eighth novel in the Nikki Heat series. It features the NYC detective and her journalist husband Jameson Rook. It starts out with a murder by people declaring themselves to be Muslim terrorists associated with ISIS. The victim is a woman. The murderers send in a video of the murder, and threaten that Jameson Rook will be their next target. There has been a Nikki Heat novel every year since 2009, and this one is especially topical, featuring a maverick businessman presidential candidate who wins public attention and approval by his disregard of normal politics. Rook is thrilled because he has lined up an exclusive access to this candidate. Heat wants Rook to go into hiding but he insists on pursuing his interview. Will Heat be able to solve the murder and protect her husband? This is a pretty standard police thriller with a long history of backstory. The writing is proficient with a colorful cast of regular characters, all listed on the Richard Castle Wikipedia page. Maybe the most remarkable aspect of this series is that Richard Castle is not a real person, but is a fictional character on ABC's crime series "Castle." Or at least, that's how the book series is marketed. The actual authors are not given. So the book series is a promotional device for a TV series and the characters in the book are loosely based on the fictional characters in the TV series. It's a scenario that seems to leave no room for any kind of authenticity. The unabridged audiobook is performed by Robert Petkoff, who carries out the task with his usual professionalism.